1. It is critical that you arrive at Muscoot Farm early enough to park and pick up your child’s number — pin it on their shirt — and get to the start area before 8:30. Arriving 30 minutes beforehand is an excellent goal. Arrive even earlier than that if you want to be able to check in with the farm animals before the kids line up to run! 2. We have split the field for the kids race into two age groups. PLEASE MAKE SURE YOUR CHILD IS LINED UP WITH THE CORRECT GROUP. The new chip timing will not report the time for older kids if they run with the younger group. The same is true in the older kids race — any under 6 runner in the older kids race won’t be timed or reported. To avoid any confusion, we will clearly announce the groups and ages prior to the start to avoid problems. 7-12 Year Olds are in the First Kids Race starting at 8:30am. This is a 1.1 mile course. Parents do not usually run with the older kids. If parents want to run near them, please line up at the BACK of the pack. You may catch up with them during the race — but you may also be left in the dust by your children! Ages 6 and younger are in the Second Kids Race starting at 8:45am. This is a 0.6 mile course. The younger kids race will not start until all of the older kids have finished. 3. Both kids races will START at the same place. The FINISH LINE is near the start area for all races and is the same for both kids races. 4. AWARDS — Every participant will receive a custom award medallion at the race finish as well as a $2 FARM BUCKS certificate good for purchases on the day of the race. Special awards will go to the top overall boy and girl finisher in each of the two groups. In addition, the first boy and girl within each age will also get a special award. 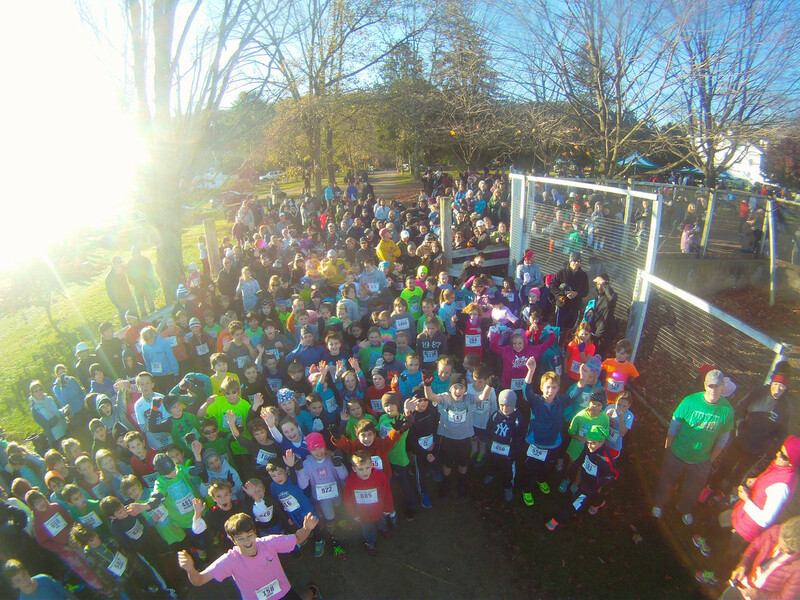 We plan to present awards at the conclusion of the kids races as quickly as possible after official scoring is available and prior to the 5 mile races at 9:30am. 6. Lastly, please don’t let your children feed or pet the farm animals. Human food is bad for them and the animals can be unpredictable.